By participating in Fair for Life, you are contributing to lasting, positive change by incorporating ethical, fair and respectful partnerships in your supply-chains to the benefit of producers, workers and their environments. An Impact Measurement Project has been initiated in order to follow the progress of Fair for Life's goals and gauge opportunities for continuous improvement. Fair for Life's Theory of Change is intended to explain the mechanisms by which FFL is impacting the world and participating in achieving the broad-reaching Sustainable Development Goals. Fair for Life’s Theory of Change has been created through practical observations as well as an analysis of Fair for Life's vision, commitments and principles. The Impact Measurement Project will continue to serve us during the coming years to monitor, evaluate and communicate on activities related to the Fair for Life program. It is a causal framework of how and why a change process will happen in a particular context. It shows a pathway between strategies, outputs, outcomes and impacts considering underlying assumptions. 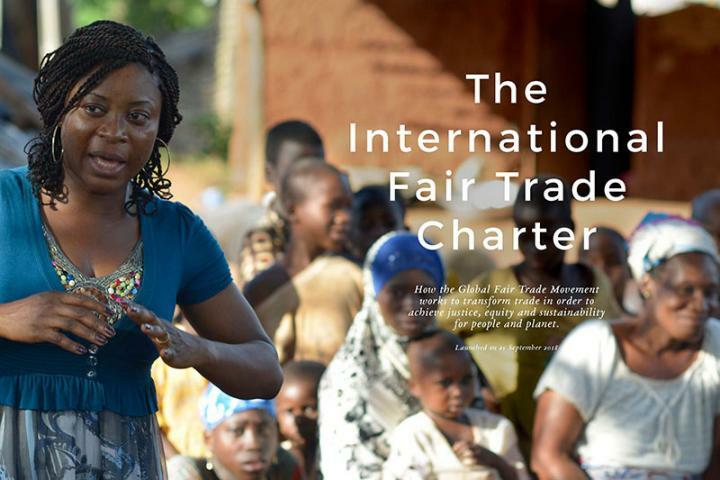 By adopting the new Fair Trade International Charter, Fair for Life has joined the other fair trade actors, worldwide, to confirm a shared vision for a transformation of the international trade. The Fair for Life attended the Sustainable Food Summit where Sustainability Developments, health impacts, sustainable ingredients, green marketing were the key topics addressed for 2 days in a high-level forum. With sustainability intricately linked to health & wellness, how can the health value of food & beverages be improved? What new sustainable ingredients are emerging? How can such ingredients create innovation? What are marketing best-practices for sustainable products? The opening session gave an update on sustainability, highlighting some of the pressing challenges facing the food industry. The social entrepreneurship model has been highlighted in particular on how it can be a factor of positive change for the environment and social communities. A case study was devoted to a leading ethical chocolate brand and how it encourages sustainable agriculture and aims to eradicate slavery in cocoa supply chains. The need to move to circular models for nutrients and materials was examined in detail in the panel discussions. With a growing population and scarcity of resources, the food industry faces the challenge of shifting from linear models to more circular models. The range of sustainable ingredients for food and beverage applications continues to grow. Companies are adding sustainable value to established materials such as flavors and vegetable oils. At the same time, new ingredients are emerging either from new sources or new processes. A growing number of sustainable ingredients are making their way into food and beverage applications. The session on Sustainable Food Ingredients concluded with discussions around sustainable value. What is the best way to add sustainable value to raw materials? Is it through sustainable sourcing, reduced impact and / or a higher nutritional profile, or all in the same time? The intervention of Caryl Levine from LOTUS FOOD, a Fair for Life certified company in the US, was highly applauded. Among other things, Caryl shared his commitment with Simpatik Farmer Cooperative, also Fair for Life certifed, and reported the outstanding work achieved in improving the impact of organic and fair trade rice farming on women in Indonesia. Since sustainability is closely linked to health and well-being, the third session explored the effects of food products on health. The relationship between sustainable food, health and well-being was stressed out. The concept of sustainable health care has been described. The environmental and health benefits of fruits and vegetables have been highlighted too. Details on sustainable alternatives to the consumption of sugar and meat products associated to health conditions were given. For instance, the project of SUPER MEAT to create a sustainable meat from laboratory culture of chicken cells has illustrated what science could provide as an alternative to increasing and unsustainable consumption of meat worldwide. With Europe having an aging population and many countries struggling to provide public health care, a paradigm shift is needed. Wieke van der Vossen of the Netherlands Nutrition Center presented the successes of developing and using mobile apps to promote sustainable and healthy foods widely. The final session focused on Green Marketing and featured Green's best practices for sustainable foods, sharing case studies of operators who are riding the green wave. After recalling the ethical and health reasons of stopping meat products consumption, representatives of the most popular vegan and vegetarian movements in Europe presented their labelling schemes. Case studies of sustainable and successful brands were presented, and the maximization of the potential of social media and digital marketing was stressed out. The concluding panel discussed the best ways to communicate green values to modern consumers. In parallel with the Forum, the presentation of the Sustainable Food Awards took place. The jury's choices were difficult given the great diversity of applications from all continents. The company ALIET GREEN from Indonesia, Fair for Life certified, has been awarded in the Sustainable Ingredients category for its outstanding work on organic and fair trade coconut sugar. The Fair for Life team was in Ivory Coast from the 20th to the 24th of November 2017 to take part in « the Fair Trade Cocoa Exchange Days» organized by the EQUITE program in partnership with Agronomists and Veterinarians Without Borders (AVSF) and the Réseau Ivoirien pour le Commerce Equitable (Ivoirian Network for Fair Trade (RICE). 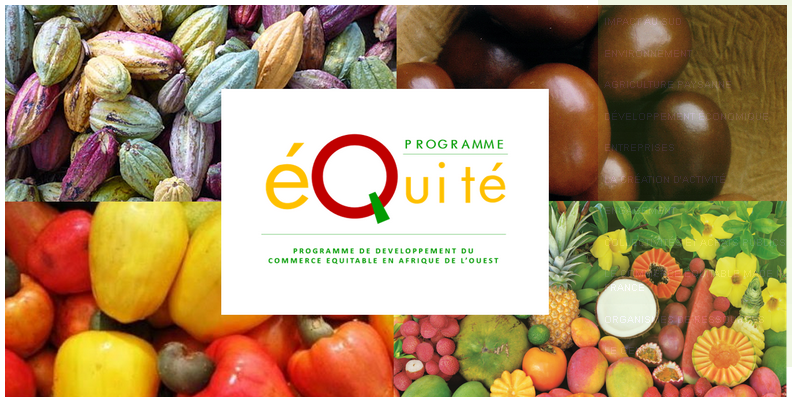 The EQUITE program is a project supporting the development of fair trade and family farming in West Africa. This innovative project started in April 2016 for a period of 3 years and is funded by € 3.9 million by the French Development Agency (AFD) and the French Global Environment Fund (FFEM). The program supports some 20 fair trade projects in 5 West African countries (Burkina Faso, Ivory Coast, Mali, Ghana and Togo) in the cocoa, shea, cashew, fruit and handicraft sectors. These projects with a strong environmental and agro-ecological dimension will contribute to an ecological and social transition in the production and organization of export sectors. The program also strengthens existing and emerging national fair trade platforms in these five countries, as well as the regional network Fairtrade Africa - West African Network (FTA-WAN). The program is led by La Plate-Forme pour le Commerce Équitable (PFCE, the French Platform for Fair Trade), now renamed "Fair Trade France". Ecocert has been a member for several years, and Fair for Life is a well-known guarantee system. Projects are managed by a consortium composed of Agronomists and Veterinarians Without Borders (AVSF) as lead partner and Fairtrade Africa - West Africa Network (FTA-WAN). Four Ecocert fair trade certified cooperatives are beneficiaries of the EQUITE program, a sign of their maturity and exemplarity: the SCEB for cocoa in Ivory Coast, and for the shea sector in Burkina Faso, the UGF/CDN, FUAPROKA and NUNUNA organizations. It is important to emphasize that the SCEB is the only organic certified cooperative in Ivory Coast. Fair for Life recognizes the importance for ethically-minded companies and consumers to adequately navigate the array of labels and standards available in social and environmental responsibility. 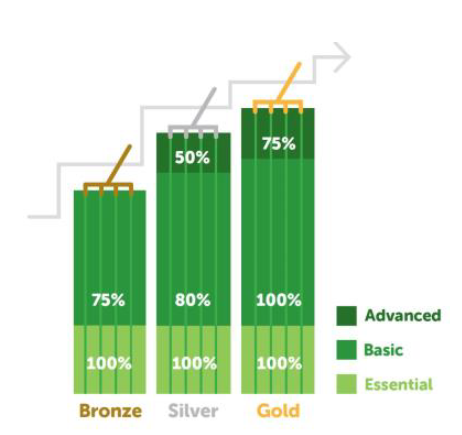 Benchmarking is one tool available to facilitate understanding and to recognize high-bar certifications in this field. We are pleased to announce that the Fair for Life and For Life standards have recently scored favourably, with a SILVER level, in a benchmarking with the SAI Platform’s Farm Sustainability Assessment 2.0 (FSA). This score reflects the overall alignment between the FSA and the FFL and FL standards in terms of on-farm sustainability. Additionally, a benchmark was done of the combined standard content of Global G.A.P Fruit & Vegetables with Fair for Life against the FSA standard, resulting in a score of GOLD! The Sustainable Agriculture Initiative (SAI) Platform is a membership association for the food and drink industry. It aims at providing a pre-competitive space for its members to work together on sustainable sourcing and foster mutual recognition. As part of its ambition to drive harmonization and reduce duplication, SAI Platform created the Farmer Sustainability Assessment (FSA) tool as an industry reference point for sustainable sourcing. Following the articulated interest of some SAI member companies, the criteria of the FFL and FL standards were submitted to a benchmark against the FSA criteria.We hope that you share our excitement as FFL and FL standards once again measure up as reliable frameworks to implement sustainable agricultural practices. 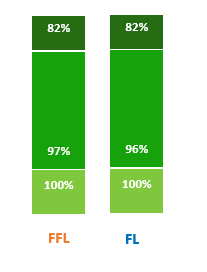 Figure 2: Both the FFL and the FL Standard have reached the SILVER level. Both standards are now supported by yet another universal reference, accepted by a broad range of international food and drink companies. By facilitating the recognition of the standards at the level of different market actors with their varying social codes and expectations, the benchmark broadens market accessibility for FFL & FL certified operations. We have a reason to celebrate this year at the Biofach and Vivaness conferences: The 2017 version of the Fair for Life and For Life standards will be released! We are excited to share this with you and invite you to enjoy a cup of coffee or tea with us at our booth to discuss the launch and the new developments in the social and fair trade markets. For more information please find the invitation here or visit www.fairforlife.org.